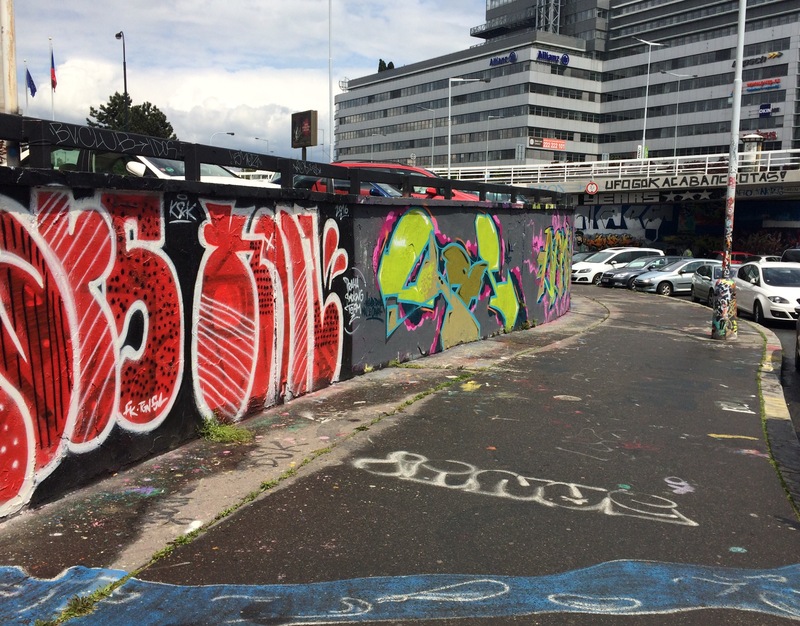 This legal graffiti area is located next to “Těšnov” tram station in Prague, Czech Republic. Recently, new vibrant pieces has covered older simple throw-ups. Swedish artist Vegan Flava recently completed his latest mural titled “A Million Years Lost In A Moment”. The murals is located in Trollhättan, Sweden and is part of the Trollhättan Street Art Festival. The piece is supposed to raise awareness about the urgency for everyone to act upon global warming. More information about Vegan Flava and his work tomorrow! As you know from yesterday’s article, Vhils is the tag name of Portuguese street artist Alexandre Farto. He started doing graffiti in the early 2000s and soon after started experimenting with different techniques. Vhils allegedly gained prominence when his work of a face carved into a wall appeared alongside a picture by street artist Banksy at the Cans Festival in London in 2008. A photograph of him creating the work appeared on the front page of The Times. Vhils creates his unique wall art by dissecting poster ads and carving into or excavating walls with tools such as etching acid, bleach, pneumatic drills and other processes, to reveal their layers. Guache is an artist from Cali, Colombia, South America. In his murals, Guache is not afraid of combining colors, ornaments, ancestral imagery and contemporary design elements. His work beautifies mainly the walls of Colombia as well as the popular city market’s walls but also re-interprets Latin American and indigenous symbols. Askew One, known as Elliot O’Donnellis, is a New Zealand based multi-disciplinary artist born in Palmerston North but raised mostly around Morningside in Auckland. He is recognized worldwide for his unique approach to graffiti art.